Does anyone act more like an overserious senior citizen with time running out on their chance for immortality than someone in their twenties? Opilio is Latin for shepherd. In some places, shepherds walk on stilts to make an easier time of counting their flocks, so, it was only sensible to give this name to these arachnids. How long have they been around? We have fossils of harvestmen, not much different from those we find today, from about 400 million years ago (Devonian), though they are probably much older. One can tell what type of environment an opilionid is from without having to have seen in it’s home. Leg length is a very helpful clue – the “typical” daddy-long-legs that most will think of – that is, small body, long legs, will live in places with access to large spaces, and can cover a lot of ground walking in the short grass or over rocks and stumps. Shorter legged species will hang out more in the loose leaf litter and under logs, while the tiny, short legged, often flat-bodied ones will live in the deeper, smaller spaces of litter and in crevices. Harvestmen are found on all continents save for Antarctica, though they are most diverse in the tropics, especially in humid forests. They’re also found in a variety of environments – not just the leaf litter and soil. They have some crazy diversity in morphological features, and, in some, striking coloration. Mostly omnivores, they feed on small, soft-bodied invertebrates, dead things, plants, and fungi. They are the vultures of the arachnid world. Most reproduce sexually, but several reproduce parthenogenetically. Courtship behavior of the males, if present, is typically brief and tactile, unlike the elaborate rituals of many spiders, who have to worry about a hungry female. 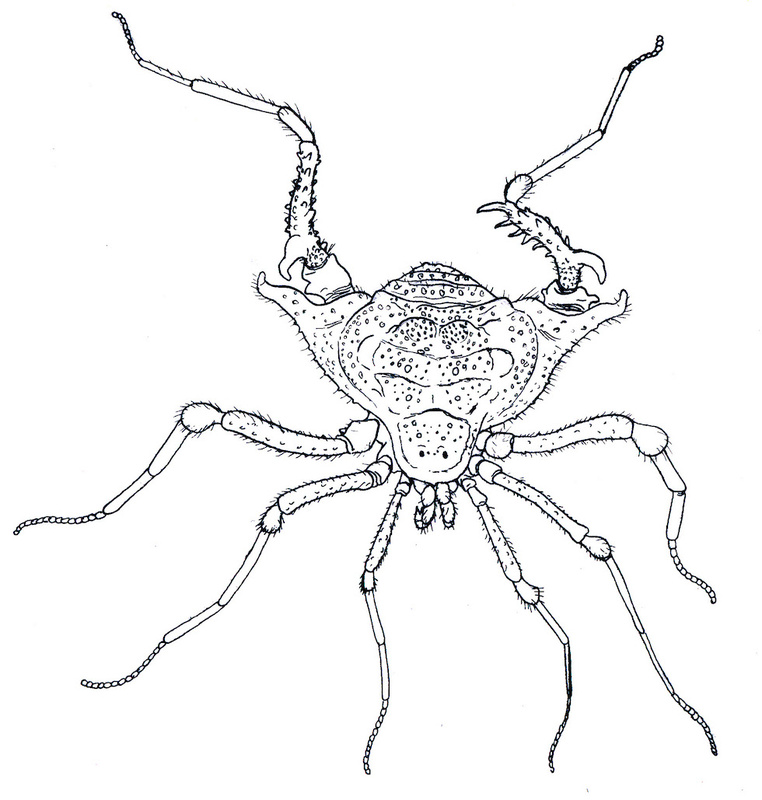 Some harvestmen will even have paternal care of the young, making Opiliones the only known order to exhibit paternal care (though maternal care is quite common). Opilionids have a couple of nifty defenses. One is that they can secrete a smelly liquid from the base of the second pair of legs, and the other is that if a predator (or curious child) has a hold of a leg, they can detach the leg and scurry away, leaving the leg grabber with nothing but a twitching leg in their grasp. -Prosoma and Opisthosoma widely fused without obvious separation (i.e., no “waist” present). -Single pair of simple eyes. -Evidence of past segmentation on opisthosoma (in most). The long reach of Stanley Kubrick’s masterpiece is evident everywhere nowadays. The latest, and certainly one that packs the most bang for the buck, is HENRi, which, will stay with you far longer than its 20 minute run time. It is hard to describe the mind-expanding optimism of growing up in the Space Age, of poring through science fiction’s cheap, newsprint-scented paperbacks, one after the other. Even as the world roiled with conflict, there seemed the real possibility that we could escape, literally. But 2001 A Space Odyssey is a good place to relive that feeling. Interstellar–another homage that D and I were privileged to see drinking yule beer in Copenhagen’s Imperial theatre–also captures some of its flavor. But HENRi goes someplace else. Someplace just as edifying but…well, just watch it.